Angel is going to Bhuntar Airport. Priti is going to Snow View Point. Kubavatbrijesh is going to World. Arti is going to Gujarat. Karabi is going to Manali. 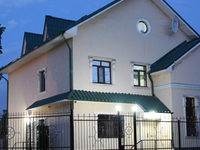 Travelers are voting Rodem House and Interhouse Bishkek as the best hostels in Kyrgyzstan. Want more? Check out our map of hostels in Kyrgyzstan or these 2 hostels near Bishkek. InterHouse - the first and unique hostel in Bishkek which principles are high service and the friendly atmosphere!